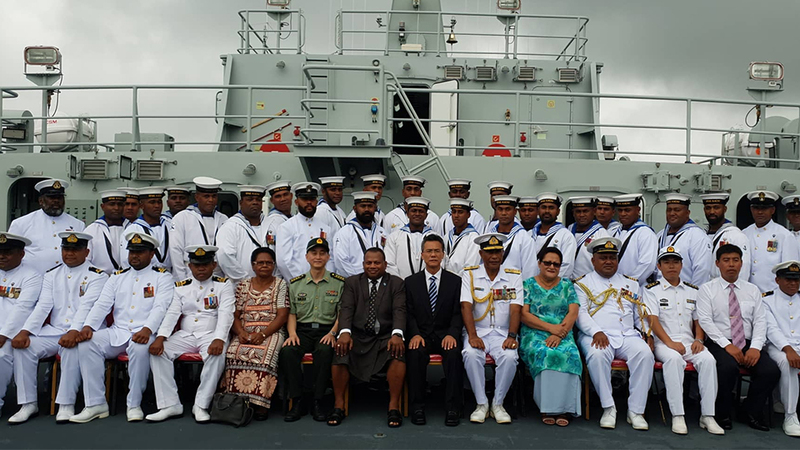 The Royal Fiji Navy Services welcomed its biggest and newest vessel in Walu Bay, Suva today. Minister for Defense and National Security Inia Seruiratu says RFNS Kacau will provide security and prosperity as Fiji fights to protect our seas. Seruiratu says the vessel will be used as a hydrographic and surveillance vessel. Named after a rare and distinctive sea bird the RFNS Kacau has been donated by the Chinese Government. The vessel has 32 crew members who will help keep Fiji waters safe from unwanted activity.